IT ALMOST did the right thing. 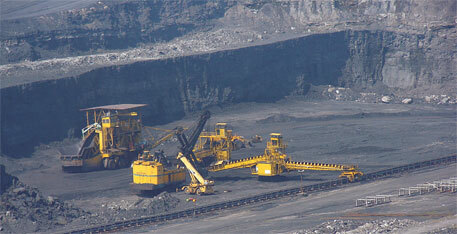 On September 30, the Union Cabinet cleared a new bill on regulating mining operations in the country. The bill mandates mining companies to share part of their profits with people affected by projects. But now there is a twist: the bill gives the Centre power to review the profit-sharing percentage for coal mine owners. The Mines and Minerals (Development and Regulation) (MMDR) Bill of 2011 requires coal companies to provide 26 per cent of post-tax profit every year to a district-level body, District Mineral Foundation (DMF). DMF will then give the funds to project-affected people. Miners of major minerals, like limestone and iron ore, will have to give DMF an amount equal to the royalty they pay to states. The profit-sharing percentage for minor minerals, like sand and marble, will be decided by the states after consultation with National Mining Regulatory Authority (NMRA), which is proposed under the bill. With its aim to benefit the public and companies, the bill states the Centre can review the profit-sharing percentage of coal mine owners based on the recommendations of NMRA. The Ministry of Mines says coal prices in the country are “administered, not market-linked. Hence, it is important to give government the flexibility to change the percentage”. It would be unfair to ask for 26 per cent of profits if coal companies are not making as much money as other mi.ning firms due to administered prices. In case the coal companies are making huge profits, the government can revise the percentage upwards, adds the ministry. This alteration would change the economics of the profit sharing-regime, which is yet to take off in the country. As per an analysis by Delhi’s non-profit Centre for Science and Environment (CSE), the bill’s profit-sharing provision will make available Rs 10,500 crore a year for the affected communities at the current level of mining. If the Centre uses the review option and decides to change the percentage to, say, 10 per cent the amount will be reduced by half. Chandra Bhushan, deputy director general of CSE, says, “Clearly, this kind of a mechanism has been introduced to safeguard companies and their profits.” If the government reels under pressure and reduces the percentage to five under the garb of administered prices the whole point of the exercise will be lost, he adds. The bill has altered the structure of the council that will manage DMF: the chairperson of the district panchayat/council instead of the head of the zila parishad. The bill, which seeks to replace the MMDR Act of 1957, specifies that only three members from the affected community can be a part of the council. The earlier version of the bill did not specify any such number. Another change in the bill, recommended by civil society groups including CSE, is to keep a tab on the administrative expenses of DMF by limiting the budget to less than five per cent of the annual receipts. The bill has also incorporated a cut-off date to identify people affected by existing mines, January 1, 1997. It has introduced the concept of making monetary payments to women members of the affected families. The Ministry of Coal feels the bill excludes captive coal mine owners. It plans to table a proposal that will fix a levy on captive coal mine owners on the basis of per tonne production of coal. This levy will be calculated on the average of 26 per cent profits of the two main coal mining companies, Coal India and Singareni Collieries Company. The mines ministry disagrees. “We will have accounting offices at the captive mine level to know how much coal they mine,” it says. There is no question of keeping the captive coal mine owners from the purview of the bill by devising a new levy, the mining ministry adds. The bill will be tabled in the winter session of Parliament. Hope the district panchayat chairman's in the mine occupied districts will be happy of taking some percentage as commission. I am not fully satisfied and really wonder whether the actual losers will get anything out of it as the government is more bothered about the profits of the companies. Thank you for your comment. The government does seem to be bothered about the companies' profits but the fact that they thought of including such a provision (enabling profit sharing) into an act for the first time ever is definetly worth a mention. The concept is what is of utmost importance although the provision in absolute money terms has got diluted quite a bit since its last public draft of June 2010. We hope there will not be further dilution since that will defy the very purpose of this very progressive concept and provision.